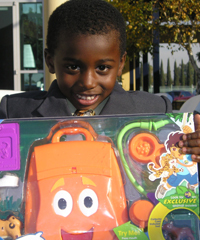 To maximize the reach of potential donations, BlackNLA.com is working with southern California businesses as toy drop locations. Our goal is to provide toys for over 1,500 disadvantaged and at risk children, during this holiday season. Businesses that are participating as drop off locations will listed in an e-blast that is sent out to the community and on the website of BlackNLA.com. We are looking for ADDITIONAL business participation, if you would like to become a drop off location or if your company would like to conduct an in-house toy drive with your employees please e-mail us at toydrive@blacknla.com or call 323-954-8988.
Business Drop Off Locations for 2018. Downs Dental - David P. Downs, D.D.S. Make a CASH Gift or visit our AMAZON wish list! After Work Mixer & Toy Drive - Wednesday, November 21 at Mama Lion Click Here. $5, $10 or $50, you pick the amount...No gift is too small! 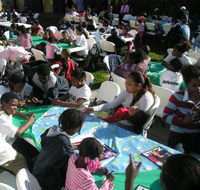 Questions: Contact us at toydrive@blacknla.com or call 323-954-8988. ©2018 blacknla.com All rights reserved.